The AA appoints 383 Project as its retained experience design agency. 18th January 2017: Birmingham & London based digital studio 383 has been appointed by The AA to develop its experience strategy, managing the design and build of all of its digital platforms, products and services. 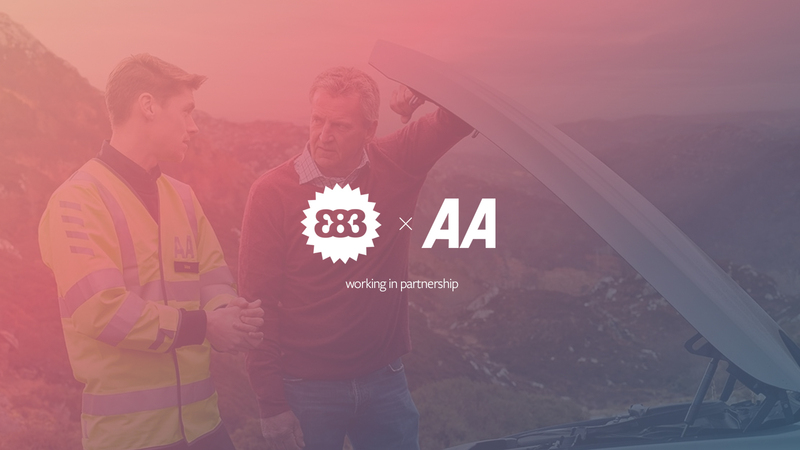 Following a competitive pitch, 383 will start work with The AA on a number of projects under its digital transformation umbrella, with the agency planning and delivering this integral strategy. Commenting on the appointment, Dan Archer, 383 Marketing Director said “Clearly we’re thrilled to have been appointed by such an established and respected brand as The AA. Our focus is on getting big organisations fit for the future and that is exactly what we’ll be doing for them. As a household name with millions of customers, our innovative strategy will deliver The AA a flawless digital experience." The AA is the leading vehicle breakdown company in the UK, founded over 110 years ago in London with a 40% market share. Today it operates several markets, including insurance, financial services and B2B and boasts over 3 million paid personal members. 383 is a UK based digital studio, helping large organisations to get fit for the future. We work with organisations such as Hilton Worldwide, Eon and Nuffield Health to improve the digital experience they offer their customers. 383 produce Canvas Conference annually and are holders of coveted awards such as The Drum’s DADI Awards, UK Agency Awards and Mobile Marketing Magazine’s EMMA awards and were recently listed in the top 10 elite agencies in the Drum’s Digital Census and e-Consultancy Top 100 league tables. This press release was distributed by ResponseSource Press Release Wire on behalf of 383 Project in the following categories: Consumer Technology, Motoring, Business & Finance, Travel, Media & Marketing, Computing & Telecoms, Transport & Logistics, for more information visit https://pressreleasewire.responsesource.com/about. 383 is a digital customer experience studio. The AA & 383 Project.